What's that small insect on the bottle tree? 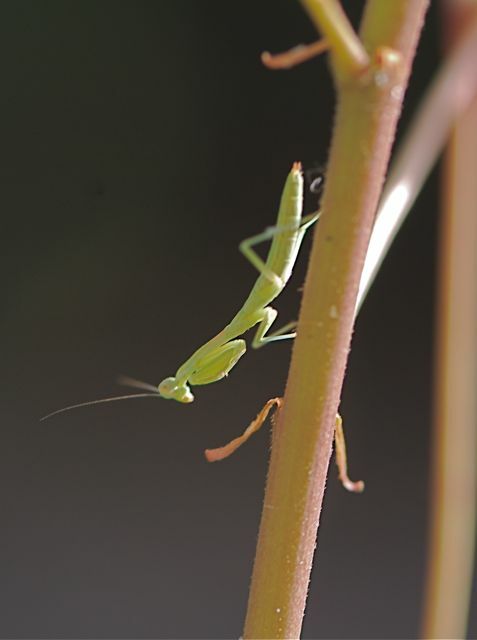 Oh, a praying mantis nymph. How cute! 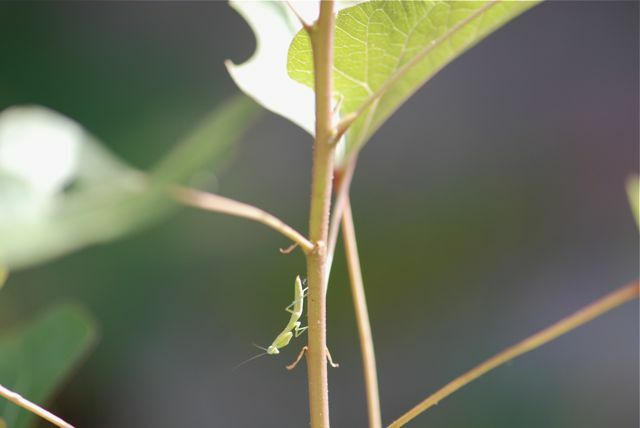 Do you see praying mantids in the summer?